As the technique can correct the transmitted data if they are corrupted or distorted on the journey, it could also help to increase the useful capacity of fibres. This is done right at the end of the link, at the receiver, without having to introduce new components within the link itself. 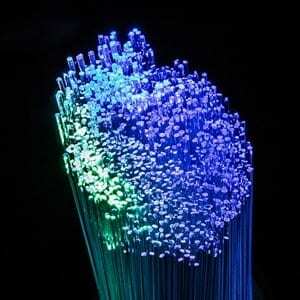 Increasing capacity in this way is important as optical fibres carry 99% of all data and demand is rising with increased use of the internet, which can’t be matched by the fibres’ current capacity, and changing the receivers is far cheaper and easier than re-laying cables. The study, published in Scientific Reports today and sponsored by the EPSRC, reports a new way of improving the transmission distance, by undoing the interactions that occur between different optical channels as they travel side-by-side over an optical cable. One of the biggest global challenges we face is how to maintain communications with demand for the Internet booming – overcoming the capacity limits of optical fibres cables is a large part of solving that problem. December 13, 2018 - The Impact of Photonics – and the role of PhotonDelta Innovation OriginsPosted by Jonathan Marks | Dec 13, 2018 | Tags: Jonathan Marks, PhotonDelta, Photonics, Ton Backx. The Impact of Photonics – and the role of PhotonDelta. January 23, 2019 - Mobile 3D sensing New ElectronicsVCSEL technology encourages progress in biometric solutions such as mobile 3D sensing, according to Bianka Schnabel.